What Is Easy Insta Profits? by Moni - 16 Comments. Can you honestly make up to $1,300 a day through your phone? Easy Insta Profits comes loaded with misleading claims sugarcoated with humongous promises of instant wealth. This program is a boatload of crap designed to make you invest your money in a bottomless pit. Don’t buy it if you want to make money. Clickbank is swarming with hundreds of scam products posing as the next big thing after sliced bread, and unfortunately, many gullible newbie internet marketers fall for these tactics. In this review, you will learn all the lies and tricks packaged as the Easy Insta Profits. What Is Easy Insta Profit? Most people learned about the Easy Insta Profit when a strange email landed in their inbox with a link to the Clickbank sales page of the product. If you click the link, it will take you to the sales page with many sales videos promising you hundreds and even thousands of dollars in earnings per day. The narrator of the videos claims that Easy Insta Profits is a system that enables you to earn money without any effort via Instagram. Now you understand the Insta in the name. 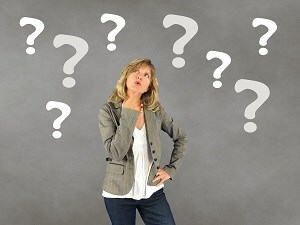 The narrator goes on to claim that the product doesn’t require any special skills, neither do you need any marketing experience to make cool cash every day. In other words, the Easy Insta Profit is a 100 per cent Done-For-You system that goes to work for you and earns on autopilot. 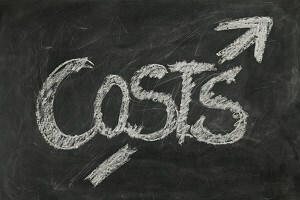 The narrator tops it by saying that you can make up to $1,300 per day with only 20 minutes of work. In short, the Easy Insta Profits can help you earn more than $40,000 each month with 20 minutes of work per day! It sure sounds highly incredulous. Unfortunately, these claims are just claims. To make these huge claims become your reality, you will need a smartphone that is installed with the Instagram app, a PayPal or bank account to cash your earnings, and 20 minutes per day to handle the little work of pressing your phone. What can be better than this? Remember if it’s too good to be true, it probably is. The narrator uses standard scam tactics to sway you to become emotional. Why would you want to miss such an opportunity? But the reality is that earning on Instagram and other social media platforms isn’t small work as you will be competing against millions of more savvy, knowledgeable, experienced, and highly motivated people. How are you going to make that happen? The Easy Insta Profit is silent about that. The product is as confusing and misleading as its false earning claims. So, how does the Easy Insta Profits program help you make money? How Does Easy Insta Profit Work? The Easy Insta Profit system contains 13 basic videos that teach you things you most likely know. The video lessons will teach you how to set up an Instagram account, how to create captivating images and posts, how to add your affiliate links to your Instagram content and how to gain more followers and monetize your followers by making them buy through your affiliate links. The system helps you grow your Instagram followership with bots. The sad reality of this is that bots can’t buy anything from you. You are going to need real followers to make your Instagram account a revenue stream. Bots and fake followers can give you the numbers, but they can never make the buying decision. According to Easy Insta Profits, their training can help you make a steady monthly income via Instagram. If you believe you can really make $40,000 per month via Instagram using this program, then you are up for a huge disappointment. No doubt, people make a lot of money through Instagram, but they have had to spend a tremendous amount of energy, money, time, and dedication to build a large following and a unique brand voice on the popular social media platform. While it’s possible to use tools to enhance your earning power on Instagram and other social networks, it’s almost impossible to make any money via these platforms without putting in immense efforts for extended periods. If you want to become a successful Instagrammer, you have everything you need floating around the internet. It will take time, a lot of money, interpersonal skills, an undying desire to provide value to people without getting anything in return, and most importantly, consistency. The Easy Insta Profits system won’t help you make any money; rather; you are going to help the owner of the product and its affiliates make money. The initial price of Easy Insta Profit is $37, and you can also get a downsell that allows you to get it for $17. To get the downsell, wait for a few seconds until a popup with the downsell appears when you try to leave the sales page. On getting to the members’ area, you will find upsells and other products from the same vendor and others. The upsell of the program runs up to about $700, with multiples of $147upsells which they promise will boost your earnings to about $900,000 per annum! Can you believe that? If you are buying a low-quality product that can’t deliver on its promises, why would you want to buy any upsells or recommendations on the sales page? The truth is that the initial offer, the upsells and the recommendations are all out for your money, not to make you financially independent. Success is everybody’s friend. If the Easy Insta Profit were a great product, the owner would be proud to associate with it. The reverse is, however, the case here as the fictitious Mark Richards who claims to be the owner has no presence whatsoever on cyberspace. The name is a front for a serial scammer who continues to release a wide range of overhyped but low-quality products that only make the buyers lose money. The owner doesn’t show us his real face, nor does he provide any links to his social networks. Mark Richards turns out to be a pen name, and we might never be able to find out his true identity. The Easy Insta Profit program hires Fiverr actors to launder its image. 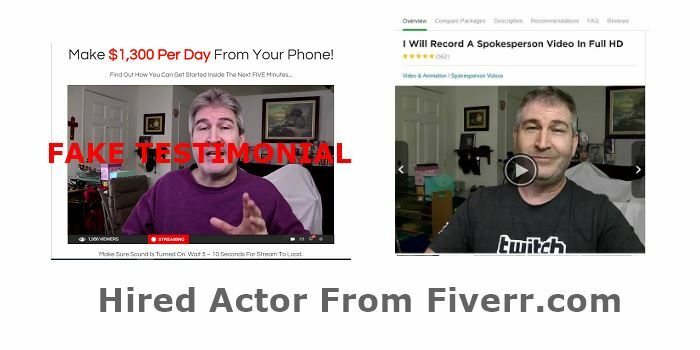 These days, it’s easy to hire actors on Fiverr and other content mills who help promoters recite prepared scripts making unrealistic claims about a product. Why would anybody buy fake testimonials from actors? If real customers are using the product, why can’t they get customers to send in testimonials? The truth is that the promoters of the Easy Insta Profits can’t get real testimonials because the program does not work. Should You Buy Easy Insta Profit? The Easy Insta Profit is not recommended. Its sole aim is to make the faceless owner and promoters rich while leaving you high and dry. It makes unrealistic earning claims, uses fake testimonials, and provides seriously basic training that won’t get you anywhere. If you wish to earn money on Instagram, you have to work really hard for it. And you will need a lot of patience as well. 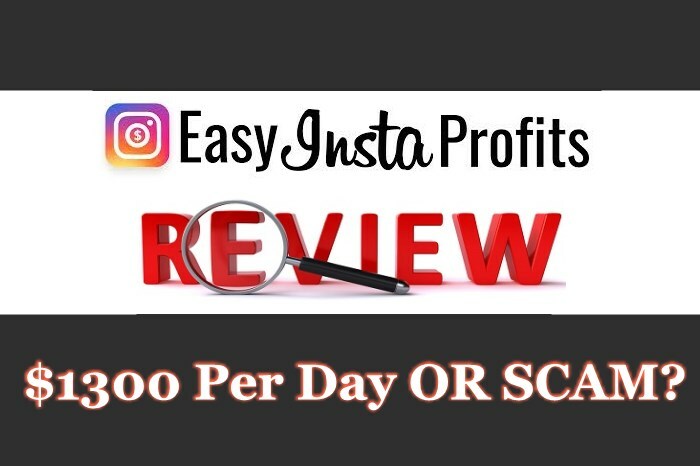 I hope you enjoyed this Easy Insta Profit Review if you have any questions or you just want to leave your own personal experience, leave a comment below. I would love to hear from you! Next Article Is Swagbucks A Scam Or Legit? I know that Instagram is huge with people trying to make money off of it. Good to know that this Insta Profit is no good! Thanks for the information. Hi Holly, thank you for stopping by and taking the time to leave a comment. Instagram is huge and people are making serious money from Instagram. However, it takes time and effort, lots of effort before you can expect to make serious money. 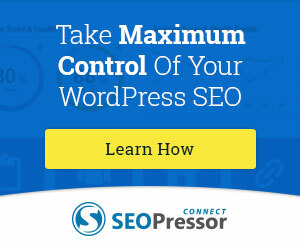 It’s certainly not going to happen on autopilot or with 20 minutes per day as this program claims. Thanks for this revealing review of insta profits. It’s good to have guys like you around here, who regularly check programs that promise you quick and abundant profit. It’s sad, because I’m sure there are a lot of good systems as well. Anyways, it seems there’s no shortcut to success. Hi Felix, thank you for stopping by and taking the time to leave a comment. I appreciate your kind words. You are absolutely right there are NO shortcuts to success. Success online or offline is there for anyone who is will to put in the effort and give the business time. Sadly, we live in a society where people lack patience and want it now! 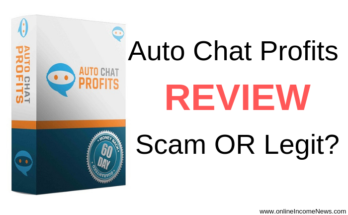 There are some good programs online, however, most programs we come across and review tend to be either a scam or bordering on a scam and only there to fleece people of their hard earned money. Sites like ours try their best to expose as many scams as we can to prevent people from getting hurt. Great review it takes time and effort to build a money making Instagram page. I use ninjagram to search for real followers to build my account. Bot accounts are fake and are a waste of time… Great post! Hi Donald, thank you for stopping by and taking the time to comment. I appreciate your kind words. I had not come across Ninjagram, thank you for this info. I will take a look at this. Hi Stewart, thank you for stopping by and taking the time to comment. 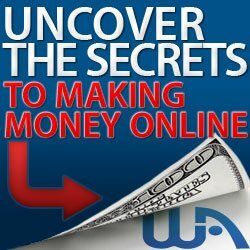 Most of these programs are marketed through email marketing by the programs owners and the affiliates who can earn up to 75% commission for every sale that comes through their links. 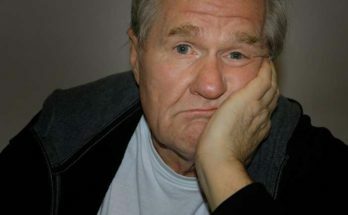 Sadly, as the majority of people have financial challenges and are looking for a quick fix they fall for these type of programs. They “hope” this one is going to work for them. In the past, I also fell for many scams and get rich quick programs until one day I realised there is no such thing as getting rich quick. 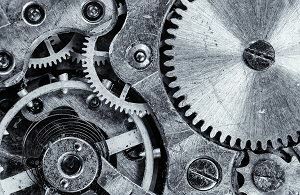 All businesses whether online or offline require a lot of hard work and patience. 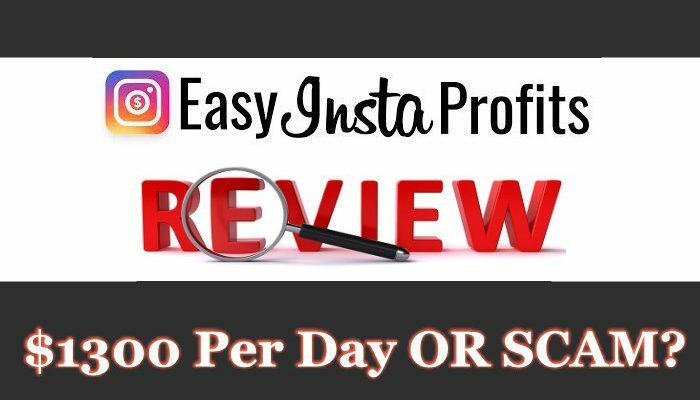 I truly appreciate your review of Easy Insta Profits and all the other information on your blog. 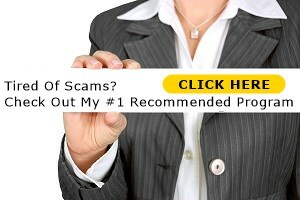 It is time-consuming to check out these scams so I thank you for doing it. After a while, you start to recognize them right away but they know new prey will be watching as well. Please remember to encourage someone today. Hi Vanna, thank you for stopping by and taking the time to comment. I am happy to hear you found the article helpful and I want to thank you for your kind words. 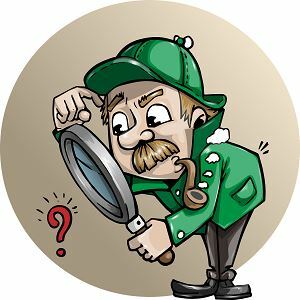 You are right it is very time consuming checking out the scams but as we review so many programs we can now spot a scam very easily. If it helps protect even one innocent person from getting scammed it is worth the time we invest in checking out the programs. Wish you much success… stay blessed! It’s really sad that programs like this exist and that these people are taking advantage of for profit. I’m glad someone like you spoke out about these programs in hopes of helping someone like me out. I have come across many of these programs. Fortunately, I’m one who truly believes if it’s too good to be true it probably is! Great article, glad you put these scam programs out there for people to see! Hi Sabrina, thank you for stopping by and taking the time to comment. I appreciate your kind words. Sabrina, sadly there are far too many scams on the internet for us to cover them all, however, we do our best and appreciate other similar sites on the internet doing the same to protect people from scammers. I am happy to hear you found the review helpful… wish you much success! Yes, you are correct I search various blog for point. But you covered it well. I am going to bookmark your blog. and will wait for your next ..
Hi Basant, thank you for stopping by and taking the time to comment. I appreciate your kind words and look forward to welcoming you back to our site.